Latest completed commission is a pretty adorable personalised applique cushion for a baby girl. My client stated she wanted something girly, but not overly so, so no huge use of pinks or purples. Once I saw this fabric range, I knew we we were onto a winner as it’s feminine and girly, but subtle. 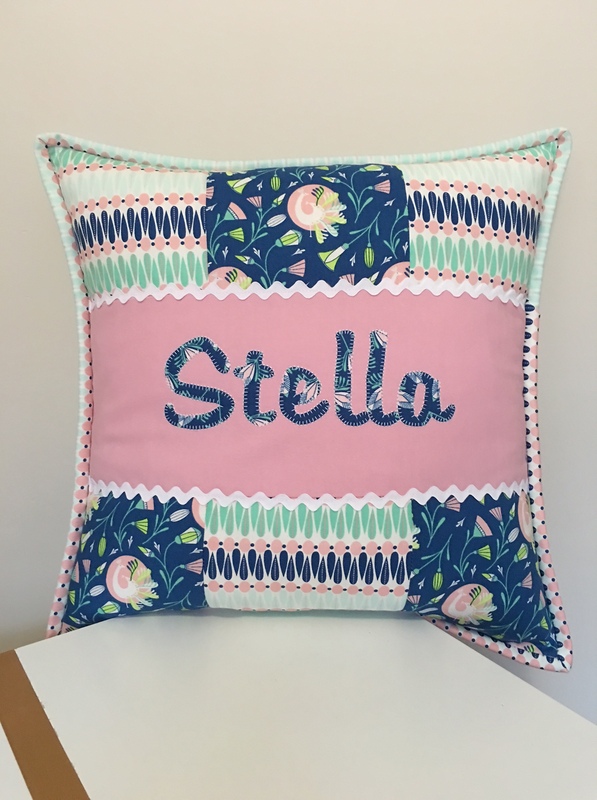 There wasn’t too much scope for this commission, just that Stella’s name be on the front of the cushion. I kept the pattern quite simple to show off the fabrics, and had fun adding ric rac to define the edges of the pink rectangle. 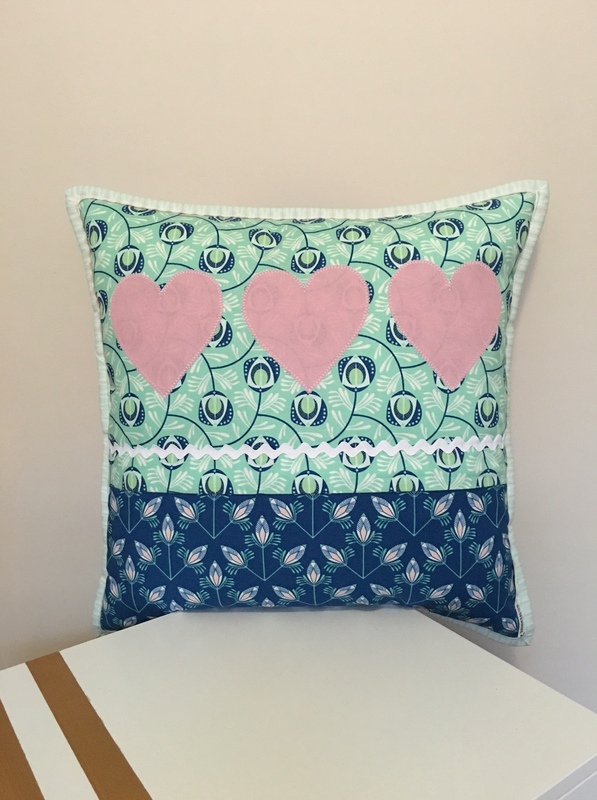 I also like having different textures on cushions for young children, so the ric rac was a double win. I kept the back simple with applique hearts and more ric rac to tie in with the front, and used fabric within the range for the binding also. « & Crosstitchery Completes First Triathlon!